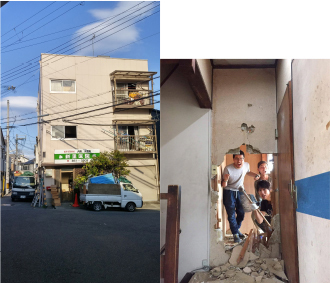 Opening up a guesthouse in Kobe which serves as a bridge between the world and the local. I was born and raised in Seoul, South Korea. I have lived in Japan for six years ever since I came to Japan on a working holiday visa after graduating from a university. I have had a dream since when I was a student. It is creating the society where people from many countries understand and respect each other. And I found the guesthouse could be the best way to come my dream come true. 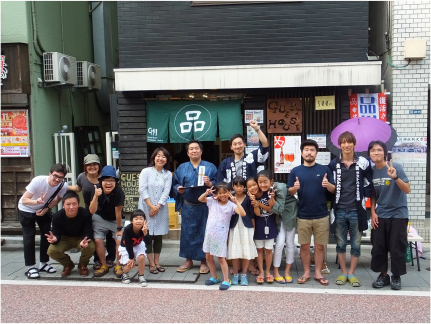 I would like not only guests to spend a good time with other people staying at the guesthouse but them to become fans of the local of Kobe through communication with people living there. Also I would like the locals to come to like the people from many countries. That is the very place what I want to create. Now I love Japan but I used to have a prejudice against it. It was because I was taught that Japan had invaded Korea and our ancestors had been persecuted by Japanese in the past. When I was in the second year of high school, however, an experience has changed my mind. I joined a Korea Japan Students Exchange Program held between Oita (Yabakei-machi) and Seoul. It was my first time to interact with Japanese people but we became friends quickly and I had a really great time with them for three days. We cried and hugged each other when we said goodbye at the airport. This is the experience I never be able to forget. All images I had of Japanese until then, it made me realized, was just a prejudice! And I thought that the interaction between “a person” and “a person” could help us to build a true relationship between Korea and Japan. This was how I got to love Japanese and started to study Japanese hard. Even after entering the university, I continued to join the exchange program. 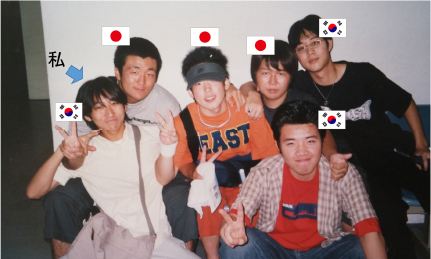 However, many people in Korea still have a prejudice against Japan. Also many people throughout the world are not overly skeptical and believe about everything the media says. I came to think I would like to do something for the world as well as the relationship between Korea and Japan. I have had many amazing experiences through making friends who are from different countries and it took my prejudice away so far, This is why I’ve wanted to make an opportunity that people can connect to the world and make friends. One day, I met “ Guesthouse Shinagawasyuku”. People who come from different countries gather and create cultural exchange there, and they understand each other and make friends through not only staying there but also going out to the local and communicating with them. And I found THIS is what I want to do with my whole life/what I work on my entire life. I’d like to make a guesthouse like this, connect the tourists all over the world and the local people and create a multicultural society that people respect each cultures. I quit a job I worked for in Tokyo and entered a long-established guesthouse “Shinagawasyuku” in Tokyo. I’d lived there and studied about guesthouse for half a year and moved to Kobe. Then I moved around many market streets to find the best place for my guesthouse. A reason I couldn’t think of making a guesthouse without a local market street is that a local market street is the place for the local people and a local community is still alive there. 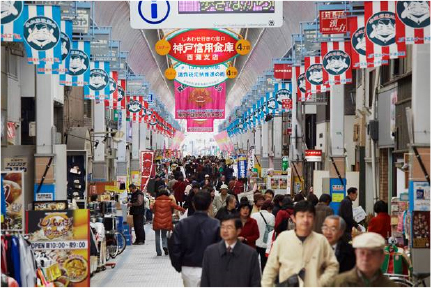 And finally I met “Suidousuji market street”. I visited there two years ago for the first time. Although I decided to open up the guesthouse, I was not familiar with and didn’t know anyone in this area at first. So I firstly started to work at a cafe in the market street and I was actively involved in local events and festivals as much as I could. 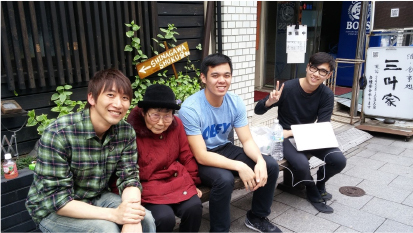 While I was doing so, I got to know the local people and they started to support me gradually. 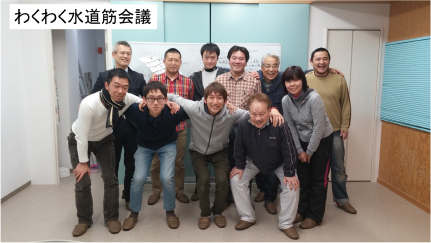 Then I became able to take part in the meeting of the local community. And I could get information of vacant houses and buildings thanks to them. Two years passed by since I had started to look for the best place for my guesthouse in this area but I never gave up and finally I found it through perseverance! and the house “MAYA” would be a bridge to connect the the tourists from all over the world with the local.